This lightweight moisturizer provides long lasting hydration and absorbs excess oil for a shine-free finish. Helps dehydrated skin regain smoothness and luminosity. Recommended for normal to combination skin that is sensitive. Formula is paraben free, hypoallergenic and non-comedogenic. Water (Avene Thermal Spring), Caprylic/Capric Triglyceride, Carthamus Tinctorius Seed Oil (Safflower), Cyclomethicone, Sucrose Stearate, Glycerin, Butylene Glycol, Sucrose Distearate, Polymethyl Methacrylate, Benzoic Acid, Beta Sitosterol, BHT, Carbomer, Chlorphenesin, Disodium EDTA, Fragrance, Glycine Soja Seed Extract (soybean), Hydrogenated Coco Glycerides, Lecithin, Phenoxyethanol, Poloxamamer 188, Sodium Chondroitin Sulfate, Sodium Hydroxide. I'm currently on my 7th tube, and doubt anything will replace this daily moisturizer. Prone to breakouts and oily on my T zone, a lightweight moisturizer is essential. I never feel (or look) greasy during the day, when I start with this product. This is all you'll need under a foundation with SPF. This moisturizer from Avene is really great. It absorbs quickly and leaves the skin moist. It doesnt clog pores. I can definitely recommend it if you have sensitive skin and are looking for a light moisturizer that works. Really great in combination with acne products!!! I've been looking for a product that can be used with my prescribed acne medication: tretinoin cream. The medication drys my skin a lot and I want a product that can provide moisture, but won't interfere with the medication. And this hydrating cream offers exactly the things I need. It definitely does not cause breakout. 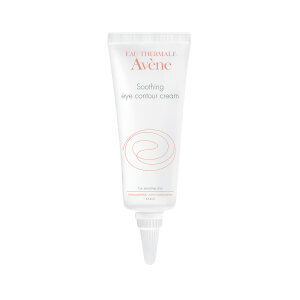 I also like the lightweight and smooth texture as Avene products always provide. Transaction and shipping is fast. I have oily break out prone sensitive skin and have been using retin a to get rid of the breakouts. The retin a has really dehydrated my skin, so I have been trying to find a good non-comedogenic moisturizer. One that will hydrate my skin without giving me more breakouts. This moisturizer fit the bill. It is not greasy at all and wears very well under makeup. My eyes are very sensitive to fragrance usually but this one doesnt bother them. HG status for me!